Pacific Paint BOYSEN® Philippines, Inc. recently set the benchmark for environment-friendly coatings with the launch of BOYSEN® KNOxOUT activated by Cristal Nanotechnology at the Renaissance Hotel in Manila. 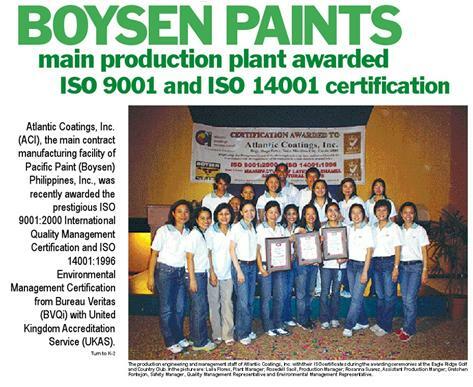 “Up to now, the focus of eco-friendly paints has been to minimize paint’s negative effect on human health and the environment, through limiting levels of volatile organic compounds VOCs and prohibiting the use of hazardous chemicals,” shared Johnson Ongking, vice president of Pacific Paint BOYSEN® Philippines, Inc.
BOYSEN®, the No. 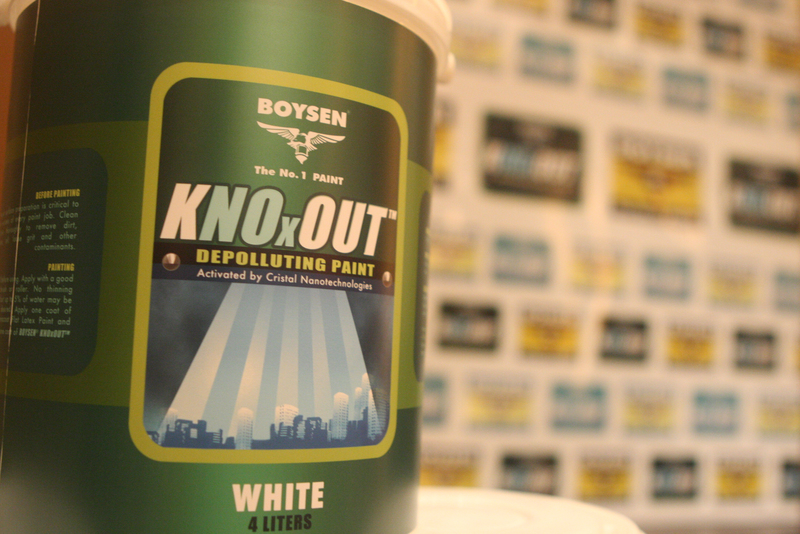 1 paint, launches the latest paint innovation called BOYSEN® KNOxOUT. As studies have shown, BOYSEN® KNOxOUT is a depolluting paint that greatly reduces air pollutants like Nitrogen Oxide and Sulfur Oxide - the two leading causes of air pollution. 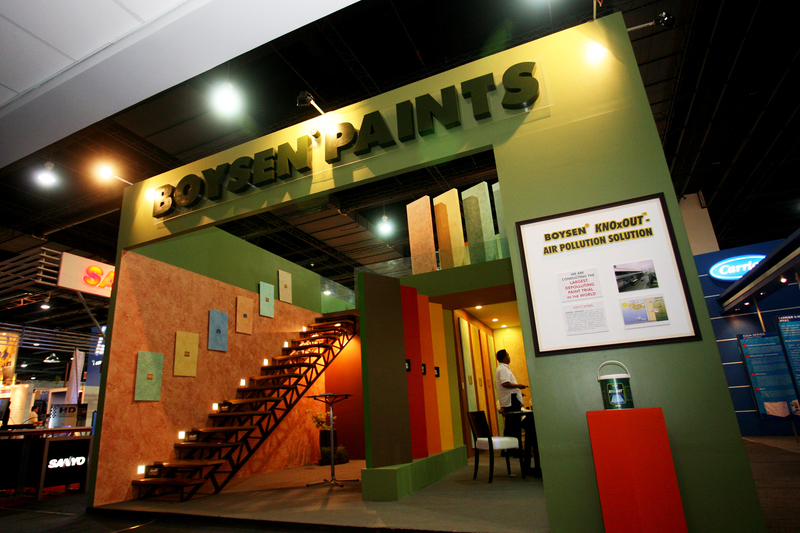 Pacific Paint BOYSEN® Philippines, Inc. recently launched its environment-friendly paint, dubbed the ​BOYSEN® KNOxOUT activated by Cristal Nanotechnology . “People used to think that fouled up the air, and now we have a paint that actually purifies the air. Powered by the vision "Expanding Opportunities towards bigger horizons,” The Philippine World Building and Construction Exposition or WORLDBEX 2008 held last March 12-16 at the World Trade Center highlighted the top-notch and the most comprehensive product lines and services of construction materials and technologies here and abroad. BOYSEN®: Consistently Trusted, Consistently Ahead Trust is the key to longevity. A true market leader knows that its existence depends largely on its pool of satisfied customers who learn to trust the product for its consistent quality. Atlantic Coatings, Inc. ACI , the main contract manufacturing facility of Pacific Paint BOYSEN® , was recently certified for an Integrated Management System IMS - ISO 9001:2000, ISO 14001:2004 and OHSAS 18001: 2007. The certification signifies that the quality management, environmental management, safety and health systems of the plant are in accordance with the latest international standards.